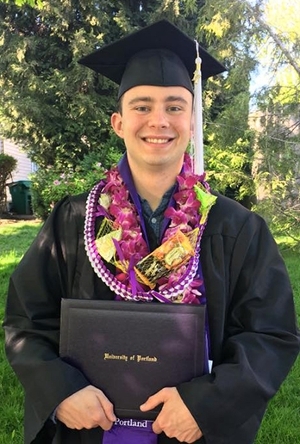 “As an intern at The Bus Project, my responsibilities include going throughout the city and registering voters in Portland as well as working with the ACLU of Oregon to raise awareness for upcoming elections in surrounding counties. I’ve found it both rewarding and challenging working at The Bus Project. It is a lot day-to-day work, but it’s all worthwhile knowing that I have made an impact. After the presidential election, I knew I wanted to start a career in politics. I had met with a fellow UP grad and she gave me information about local political organizations in Oregon. Thankfully, The Bus Project was one of those on the list and I immediately applied to be an intern.